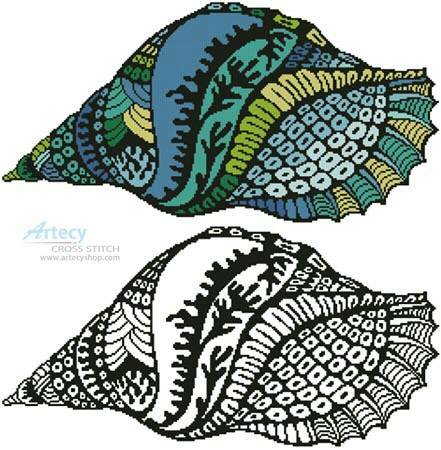 Colour Shell Design 1 cross stitch pattern... This shell counted cross stitch pattern is from our Colour with Cross Stitch Collection. Stitch the design in full as is or stitch the outline and then fill in with colours of your choice. A practice colouring page is included. Full cross stitches only.